Ahead of his back to back set with Leon this Friday, Pirupa has shared with us 5 of the most inspirational tracks. This Italian’s been a regular on house and techno line ups for time now. He seamlessly streams across the two genres and has racked up a solid reputation for his quality tunes and even better DJ sets. He’s heading the new concept party at Egg LDN this weekend , Back 2 Back. It deals with exclusive, well considered back to back sets from a pair of artists who’s recently dropped a tune together. Pirupa along with Leon make the perfect debut act following their huge banger that’s dropped on Elrow Music, ‘Our Sound’. They’ll be joined with a tonne of quality DJs that include Doorly, Alisha, Juan Baiz and Lucas Alexander. Looks to be a massive start to this new concept party at Egg. Ahead of the party, Pirupa has shared with us 5 of his most inspiration tunes and with Laurent, Chemical Brothers and Danny Tenaglia you know this one’s special! 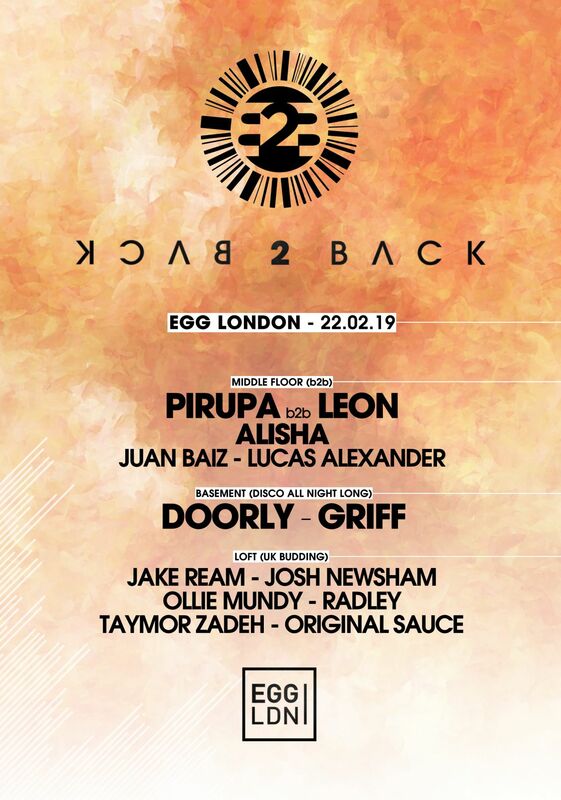 Pirupa plays b2b with Leon this Friday at Egg LDN - Tickets. Their track 'Our Sound' is out now on Elrow Music - Buy. This is my favourite track in all electronic music. I’m still playing it, closing many of my gigs. It’s evergreen. The message is a hymn, a statement of dance music from one of the most iconic DJs ever. Another evergreen. It makes me remember my nights in the early 2000s in Ibiza - Carl Cox at Space. The first time I heard this track was at Cocoricò Riccione and Steve Bug dropped it and the Pyramid Room went mental. I’m still playing it everywhere and it’s definitely one of the best tracks of the last 15 years. This song is special and made me discover the UK electronic scene which changed my game. Legends.